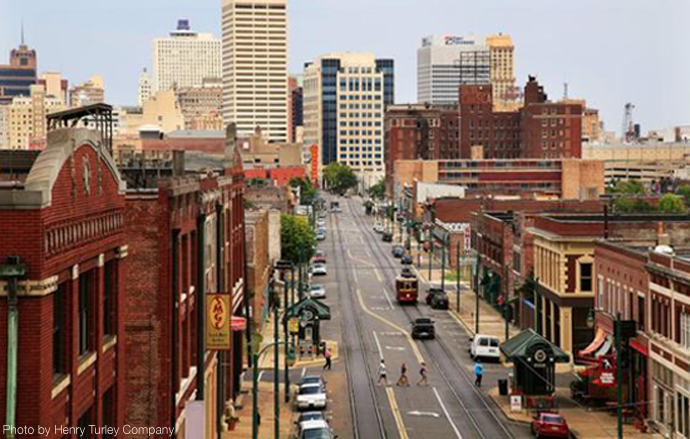 Memphis, TN is one of the communities Smart Growth America worked with as part of our free Complete Streets technical assistance initiative. This month, Smart Growth America announced a limited number of free workshops to help local leaders and residents make their communities more livable, sustainable, and vibrant. As part of this program, communities can apply for free Complete Streets technical assistance. Cities like Huntsville, AL and Memphis, TN have used this opportunity to bring national experts to their communities to lead Complete Streets workshops with the goal of developing and implementing Complete Streets policies. Deliver three workshops to three municipalities within the same state. The three municipalities come together to form a consortium, apply as one, and receive the workshops over a coordinated time span. Be tailored to local contexts and barriers to Complete Streets implementation. Present an opportunity to not only work on Complete Streets implementation, but also enhance relationships with other communities in your state as well as those with state agencies. Applications are now being accepted for our 2017 workshop series and due by Thursday, October 6, 2016 at 5:00 PM EDT. Smart Growth America’s free technical assistance is made possible with grant support from the U.S. Environmental Protection Agency’s Office of Sustainable Communities under the Building Blocks for Sustainable Communities Program. The Building Blocks program funds quick, targeted assistance to communities that face common development problems.